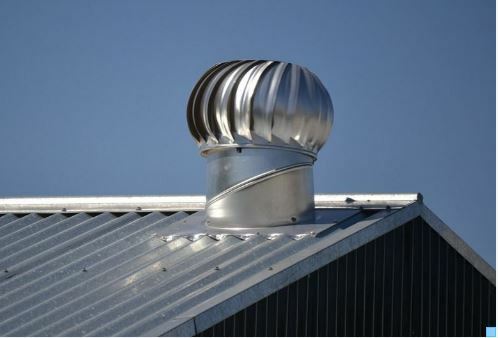 If you are thinking about installing roof vents in your home, or you already have them, you are probably researching to find out exactly what’s involved in maintaining and servicing them, if there’s any known issues with them and what the life expectancy is for them before you need to completely replace them. Having correct roofing ventilation is essential for the long-term wellbeing of your roof and the roof structure. Do you have enough ventilation? Construction codes have changed so much over the last 20 years, so that means that older homes may not have adequate amounts of ventilation because they were built during a period where it wasn’t needed. The need for proper roof ventilation for rooms like kitchens, bathrooms and laundry rooms increases as the insulation in the home increases. Since houses are much more airtight now, which helps save on energy costs, but that increased air tightness has caused issues in other areas of the home like air quality and air flow exhaust. Current building codes for the GTA, and Ontario, state that you require one square foot of ventilation for every 150 square feet of attic space in your home. It is important to remember, though, that building codes only provide the minimum amount of roofing ventilation you need. Roofers Richmond Hill will be able to provide an assessment of your home and determine if the minimum is sufficient, or if they’d recommend more based on the needs and layout of your home. How do you go about ensuring you have the right amount? If your home is more than, say, 15 – 20 years old, it might be time to have a roofer come out and evaluate the condition of the roof ventilation you have. At this age, your roof is probably coming close to needing to be replaced anyways so this would be a good time to look at adding more ventilation to your roof and ensuring none of the structure beneath has been compromised over the years. Roofers Richmond Hill has over 20 years experience within the GTA community with a vast amount of knowledge for all roofing issues and needs. They are professional and are able to provide you with honest assessments and evaluations, so you don’t need to worry you will be paying for services you don’t really need. Ensuring your home has adequate exhaust and air flow is key to the longevity of the structure of your roof; replacing a roof is one thing but if you need to replace structure due to damage or rot there are much larger costs involved and your home will be under repair for so much longer. So take the time now to speak with our professional roofing contractor to make sure you are taking appropriate measures and, down the road, you will probably have minimal regular maintenance on your roof ventilation. We can be reached at 647-559-1617 for a free estimate.